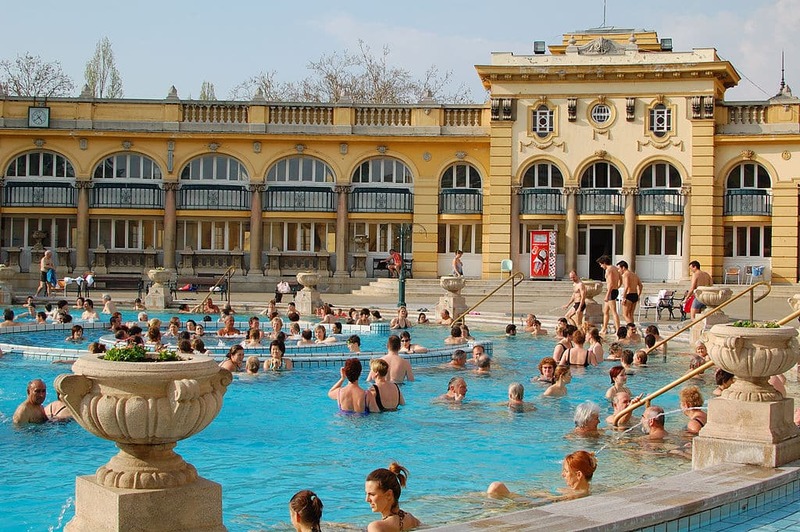 The baths of Budapest are part of the Hungarian tradition and culture not only for their medicinal (rheumatism, osteoarthritis, muscle pain) and relaxing properties, but also because they have always been a meeting place for friends, family and businesses. 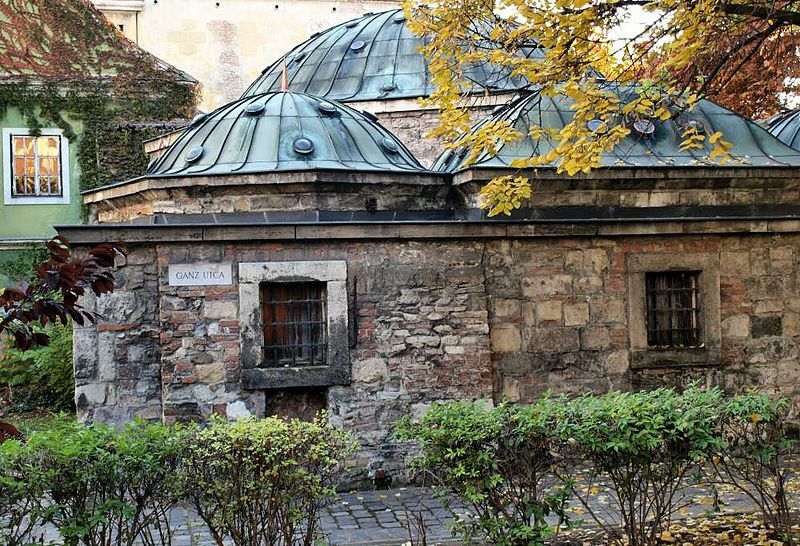 To help you discover this unique experience, here are our Top 10 best baths of Budapest! The Széchenyi Baths are the largest baths in Budapest, located in Pest in the “City Park” (“Városliget”). They are first on the Top 10 Budapest Baths because of their unique architecture, huge neo-Baroque yellow courtyard and 21 baths, all mixed. 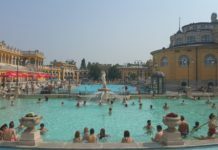 Find full information on our dedicated article about Széchenyi baths on this link. 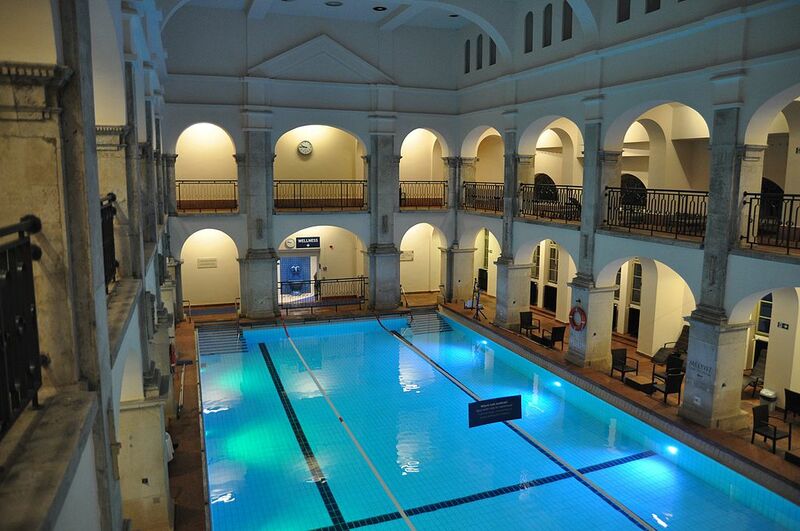 Openhours: from 06:00 to 22:00 every day (indoor thermal baths from 06:00 to 19:00). 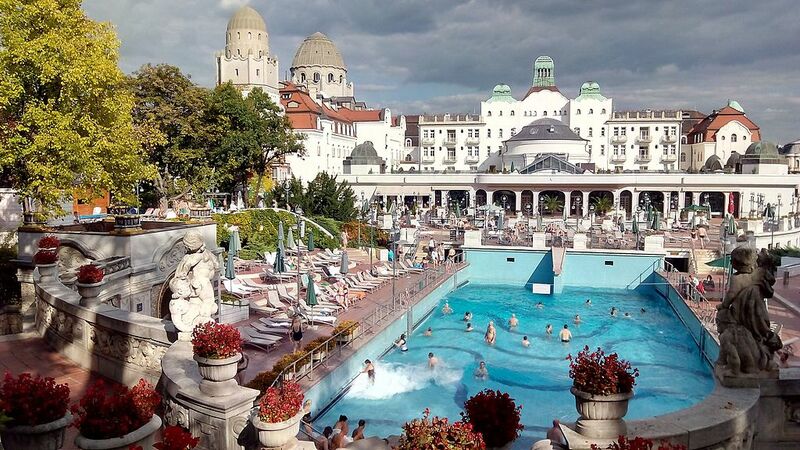 Enjoy a moment of relaxation during your visit at the Széchenyi thermal baths. Massages of 45 minutes and 60 minutes are available, for one person or a couple: ideal to relieve muscular tension! The Gellért Baths are an institution in Budapest for their Art Deco architecture and the many thermal baths and services offered. You will discover its famous entrance with glass roof, Art Nouveau style gallery and pools made by the famous Hungarian porcelain and ceramics company, Zsolnay. Outside you will find a large wave pool (every 30 minutes) at 26 °C and smaller pools. Inside is a mixed swimming pool and a dozen hot pools, as well as saunas and steam rooms. Detailed information is on this link. On our Top 10 Best Baths in Budapest, the Lukács Baths in Buda offer a unique opportunity to discover the Hungarian bathing tradition. These thermal baths offer 3 outdoor pools and several indoor pools, all mixed, and a sauna, steam room, roof terrace and massage services. These baths are a meeting place for Hungarian intellectuals and artists in a building certainly less flamboyant than other baths, but they are also quieter and less frequented by tourists. Rudas Baths retain many features of Turkish baths such as a superb octagonal basin, imposing columns and Turkish cupola. These baths offer a large indoor pool, various thermal pools with temperatures between 10 and 42 ° C, and a sauna and steam room. In addition, a new mixed area called the Wellness-world of Saunas was renovated in 2017. Very modern (too? ), this location also offers a hot bath (36 °C) on the roof of the establishment with a view unique on the city: an unforgettable experience! Note: the indoor pool and the wellness area are mixed but the thermal baths are mixed only on weekends. The baths are open at night on Fridays and Saturdays from 22:00 to 04:00! Swimming pool: 06:00 – 22:00, Wellness-world of Saunas: 08:00 – 22:00. Thermal baths: from 6h00 to 20h00 every day but reserved for women: Tuesday, reserved for men: Monday and Wednesday to Friday, mixed: Saturday-Sunday. Night swimming (mixed): from Friday to Saturday from 22h00 to 4h00 (except the World of Saunas). The Király Baths in Buda were built in 1565 during the Ottoman reign. Its main pool is marked by a dome that lets rays of the sun penetrate to immerse you in a unique atmosphere. These small Turkish baths are mixed and can accommodate sixty people in 3 pools and a sauna. Opened in 1919, the Palatinus Baths on Margaret Island were Budapest’s first outdoor baths. They offer a dozen pools including giant slides, a wave pool, hot baths, thermal baths and saunas in a park with an area of ​​75,000 m2. This very popular aquatic complex fills during the summer with children who include it any Top 10 Baths of Budapest. The outdoor baths are open from June to mid-September. Address: Margitsziget, XIIIth district – map – website. 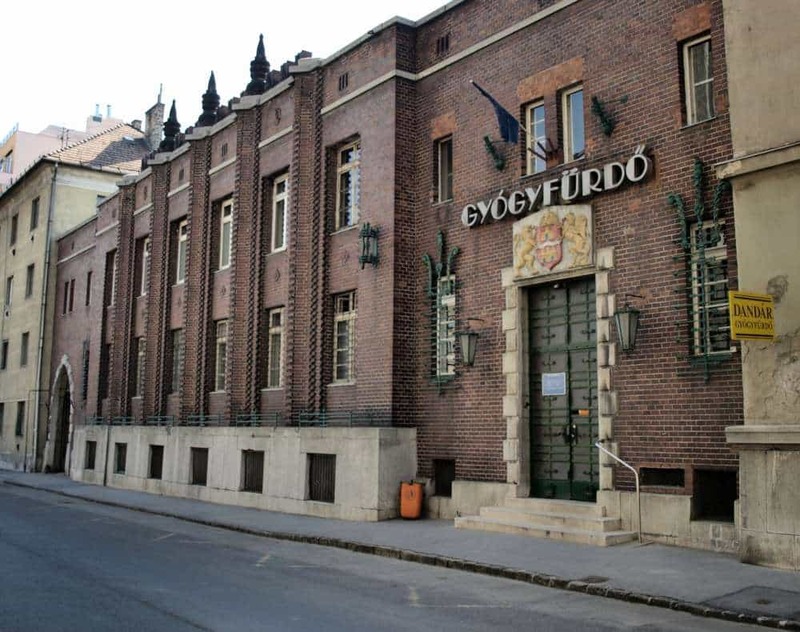 The Dandár Baths are located in Pest in the 9th district. It offers three thermal baths at 20, 36 and 38 ° C, two outdoor pools and a sauna. 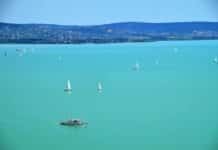 Frequented mainly by locals, they are a family alternative if you are nearby. 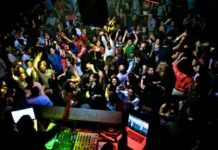 Open hours: Monday-Friday: 06:00 to 21:00, weekends: 08:00 to 21:00. The Turkish baths ’Veli Bej’ in Buda offer 5 indoor pools, a sauna, steam room and Jacuzzi. Massages are available. Its small size means a limited capacity for visitors; if you want to avoid a wait, visit it at the beginning of the day. Open hours: 06:00 to 12:00 and 15:00 to 21:00. 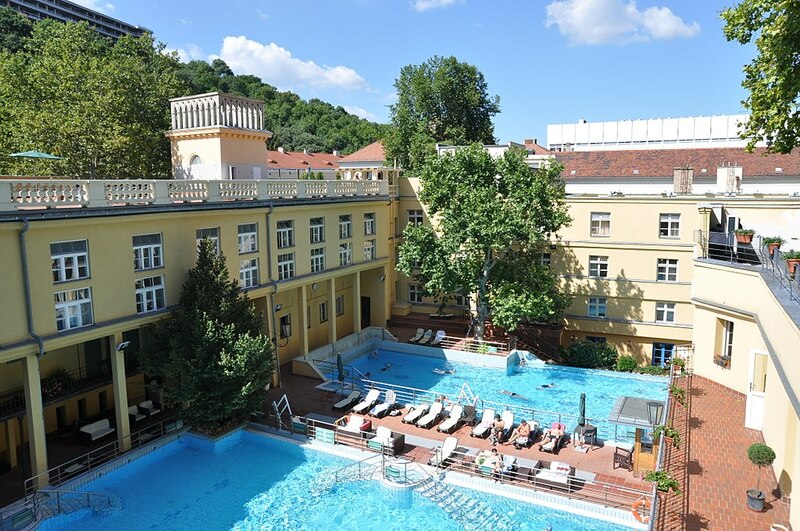 The Paskál Baths in Pest are a family destination in summer for those who want to enjoy its 9 indoor and outdoor pools, and the wellness area with several saunas. 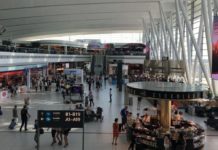 Sports and restaurant areas are also available. The Aquaworld in Budapest is one of Europe’s largest indoor aquatic theme parks, with more than 20 pools, 11 water slides, wave and surf pools, and a wellness area for adults. 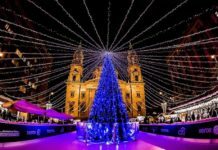 This facility does not include a thermal bath but is still included on our Top 10 Baths of Budapest because it offers many activities and attractions appeal to children. 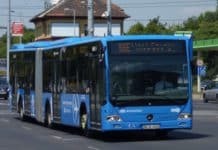 Note: it is a distant location about 15km from the center of Budapest. 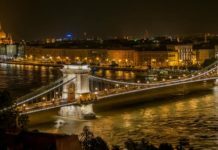 In addition to our Top 10 Baths in Budapest, do not hesitate to consult our articles about Budapest’s must-sees and other Top 10 of Budapest.